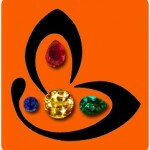 Fine Gem | Ceylon Blue Sapphire | Sapphire with Diamond | Natural and Untreated Sapphire. 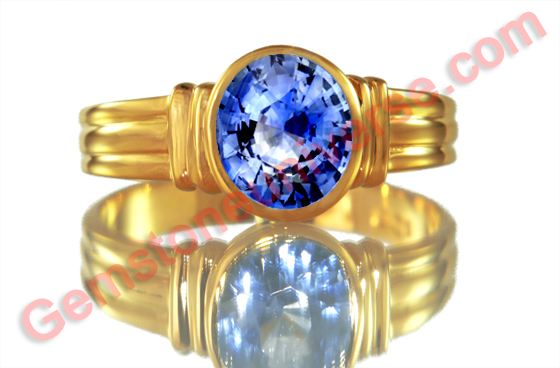 This superfine gem has been set in 22 karat gold as a men’s blue sapphire ring. The neelam stone has a lively blue color and a stunning cut with great clarity and electric lustre that give it a distinct adamantine look. Ceylon blue sapphires have been famed for instantly capturing the senses. In the words of Richard Hughes – “The finest stones from Serendib can blow with any blues on the bandstand. Top-shelf Ceylon (today, Sri Lanka) sapphires have something I will hereafter refer to as “snap.” Like the pointed slap of a stick against a taut snare’s skin, the color of certain Ceylon blues has an ocular attack unlike any other in the sapphire world. Fully natural and untreated, this gorgeous blue sapphire Saturn talisman ring has tremendous saatvik powers and can be used to harness the powers of Saturn or Shani mahatma as he is known!